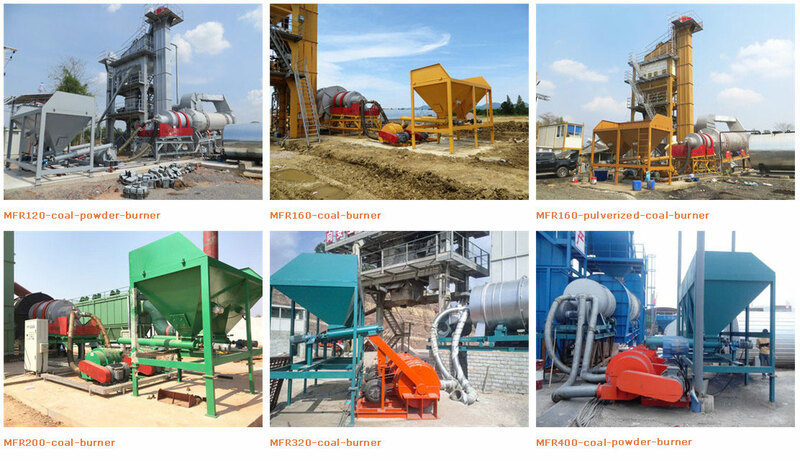 MFR series pulverized coal burner is mainly composed of pulverized coal machine, host of combustion machine(including combustion chamber, automatic back and forth motion system, automatic rotation system, the combustion air supply system) control system, ignition system, the crater and others. 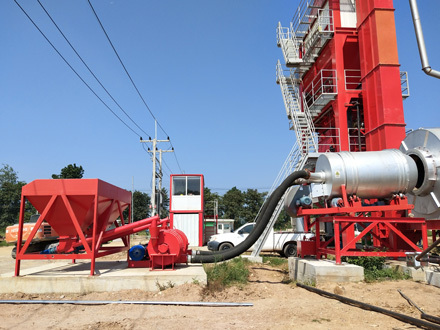 The coal that diameter less than 20 mm is crushed by coal power crusher firstly, then the coal power is transported to main burning chamber by flexible pipe, and then ignited by oil gun. 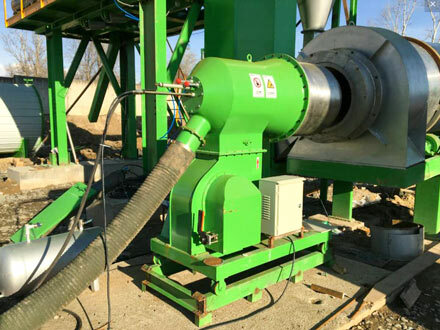 Meanwhile, the blowing fan provide wind to main burning chamber through circular rotary wind pathway in back coverer, wind go forward along inner wall in chamber, the high temperature airflow mix coal powder and then burn strongly, the high temperature flame sprays from the fire outlet and come into drying drum to heat the cold aggregate. 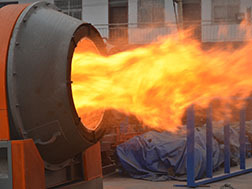 ●Adopts new structure, change the traditional burner mechanism, exclusively using of rotary combustion burners to solve the problems of traditional burners which are easy slag-bonding and incomplete burning and etc. ●High flame temperature, energy saving and completely burning. ●Adopts the exclusive ingredients of firebrick of high performance, prolong service life. ●Continuous production, has no need to scarfing cinder everyday. ●Lower production cost, is only the 1/3 of oil burner. 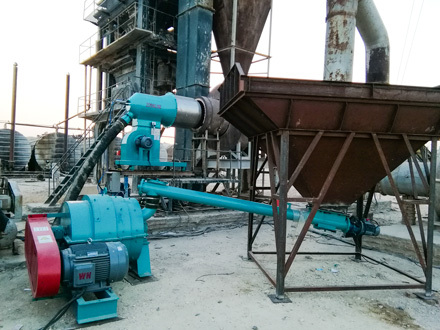 ●With high automaticity, convenient to control aggregate temperature, discharging aggregate through dry mixing drum. ●Port temperature measuring equipment return signal to the frequency changer of coal machine , change the aggregate temperature through frequency changer automatically control the volume of coal. ●Ignite is simple and easy, auto and manual ignition is optional. Ignition oil gun nozzle with special structure, atomization effect, kerosene combustion. This type of coal burner is mainly used in boiler, dryer and asphalt mixing plant. ●Concentrated separation of combustion, reduce NOx emissions. ●Air-staged combustion,Reducing the emission of NOx. ●Flue gas recirculation,Reducing the emission of NOx. ●Secondary Air Multi-stage adjustable, the flame can be flexible adjusted, better matching the boiler. ●Good adaptability to different coal, even inferior coal. 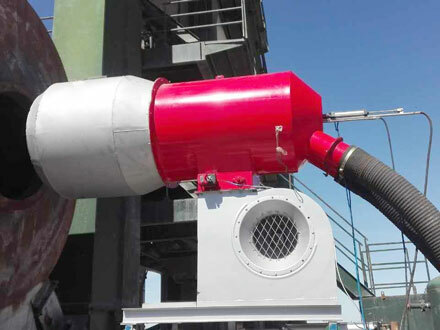 ●Using the most advanced "semi-open pulverized coal combustion" pulverized coal combustion, the pulverized coal flame is fully burned under the multi-layer wind, which reduces the ablation and erosion of the flame on the inner wall of the combustion chamber. Extend the life of the combustion chamber. ●Free maintenance,high temperature stainless steel burner,avoid the trouble of changing the refractory bricks. ●High level of automation---Automatic type adopts "touch screen + PLC" mode control, according to the pressure, temperature, etc. automatically adjust the supply of coal, air volume distribution and other impact of the main parameters of the combustion effect, so as to accurately control the required heat within the requirements of the construction specifications. ●Economy through the console manually control the throttle and coal supply, manual adjustment. 25-35% smaller diameter, more convenient installation, the use of a more extensive range.